Anybody ever read this? Lukian von Samosata und das Neue Testament by Hans Dieter Betz (1961). I think the subtitle is, "The History of Religions and Parenetic Parallels." This is the only book/paper I know of drawing any comparison at all between the NT and the works of Lucian. I guess a translation at this late date is remote. This four-volume work is considered the most important work on the Hemetica of the 20th Century, but, shockingly, no English version even though Nock wrote it in English. The obvious question is where Nock's manuscript is... It's probably extant. Are his papers at Harvard? I would imagine Harvard saved them. I'm guessing that an English edition was planned but was halted at Nock's death in 1963. It's pretty disappointing that none of his peers or students really pushed for an English edition at that time. Too much time has now passed. You wonder what happens to the papers of some of these guys. If an institution didn't save them, then I don't have a whole lot of faith family did. A lifetime's accumulation of files takes up a lot of space, more than most people are willing to privately store. Usually they are deposited somewhere. Nock's papers will be extant. where I can read the book you have mentioned above? 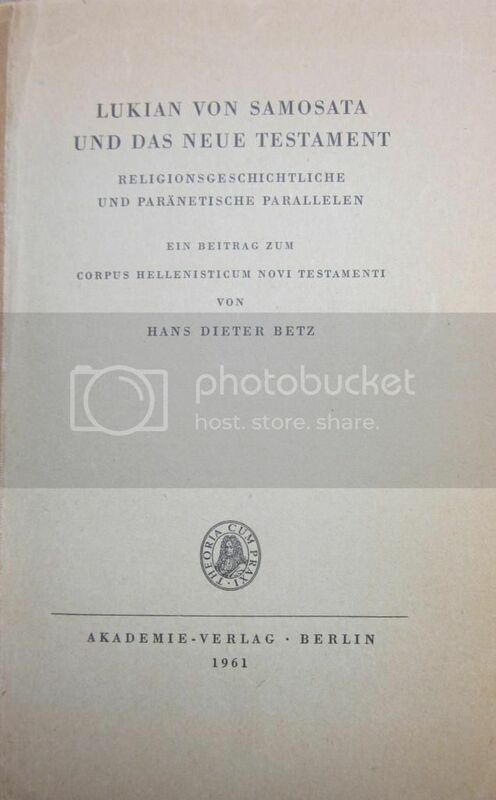 Here's yet another important work, only in German, about Lucian and his observations about religion: a book-length, scholarly examination of the classic Alexander the Oracle Monger. Lucian's Alexander the False Prophet is the only literary testimony to a highly influential cult of the 'New Asclepios Glycon' which, as archaeological evidence continues to document, spread all over the eastern Mediterranean basin throughout the second and third centuries AD. This book offers an analysis of the complete manuscript tradition, a newly constituted text and a German translation. 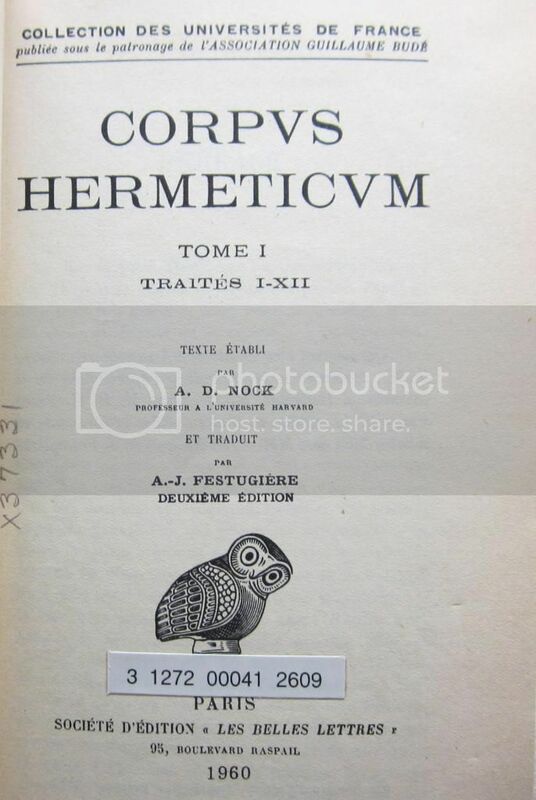 The extensive introduction deals with (1) the archaeological evidence, (2) the question of Lucian's historical reliability, (3) the reasons for Lucian's opposition to the oracle of Abonuteichos, (4) the institutions and the teaching of the cult at Abonuteichos. Furthermore, there is a commentary on all philological and historical questions and on those issues relevant to the history of religions. There seems to have been enough books forged in the name of Lucian in the 4th century to stock a library shelf. I would be interested in learning what the author of this book concludes on his own subject heading, and what reservations he makes in arriving there.